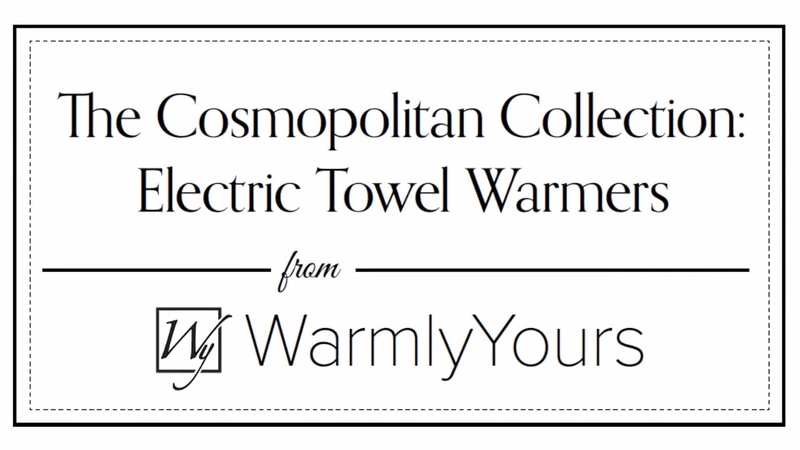 The Vancouver towel warmer from WarmlyYours is an innovative model with an integrated non-heating shelf for extra towels. The compact design of the Vancouver means this model takes up less wall space than larger units while providing the same level of functionality. 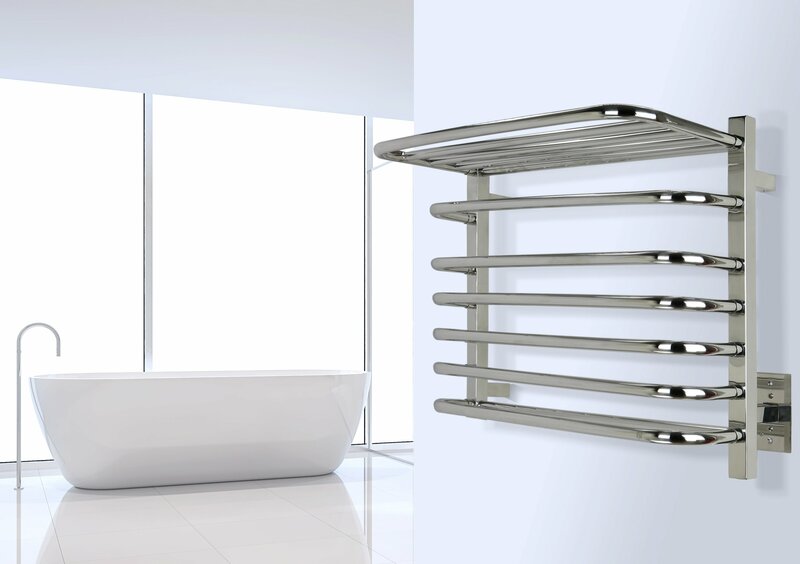 The hardwired 120 VAC connection of the wall-mounted towel warmer provides a streamlined appearance, without visible wires or plugs, when installed. The 6 heated, curved bars will deliver a heat output of 222 BTUs per hour which will help warm and dry your towels and bathrobes. 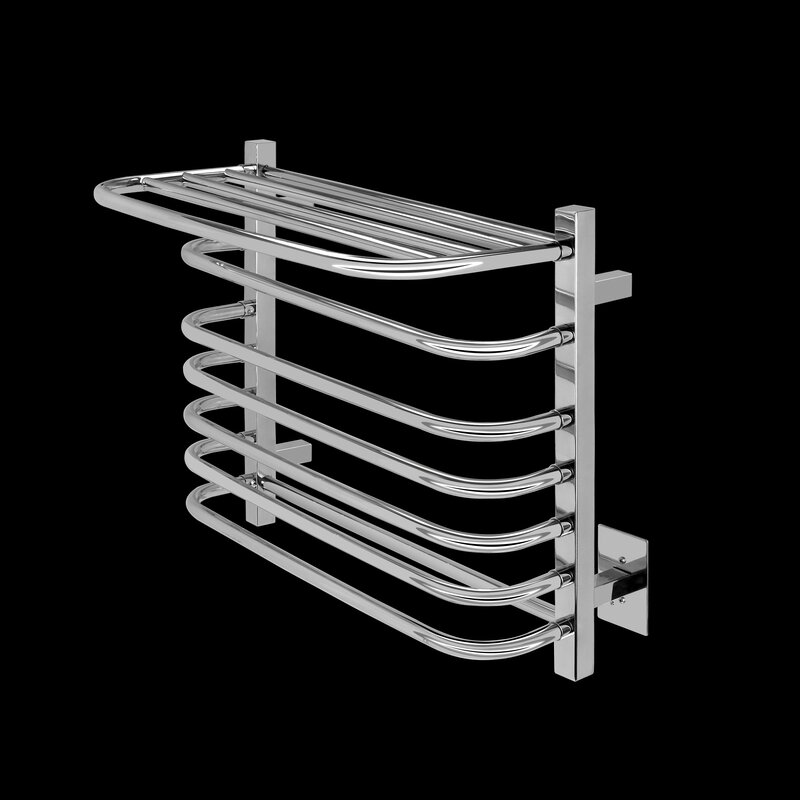 The highly polished finish, 304-stainless steel construction, and curved design of the Vancouver means this towel warmer will be a great addition to almost any design motif. This model comes with built-in TempSmart™ overheat protection to prevent the unit’s surface temperature from exceeding 149°F (65°C).